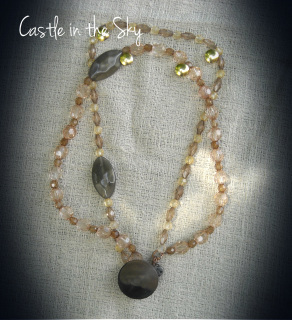 This necklace is is created using light brown crystals embedded with longer brown faceted beads. It is a double strand necklace. Behind the button is the clasp. Something a little different than the usual clasp in the back. This necklace is called a floating bead necklace. There are five pink briolettes at the center, separated by small pink beads. Along the bead wire are the same small pink beads at different locations and don't go any further than the stops that are clasped onto the wire. This necklace also comes with matching earrings that are strung onto fish hooks. 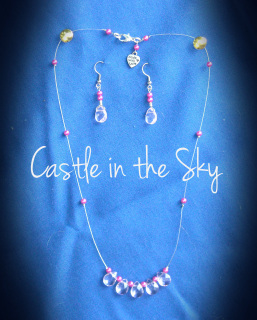 The earrings each have one briolette and two small pink beads. Found the vintage button in my collection and thought it would be a great addition to a necklace. 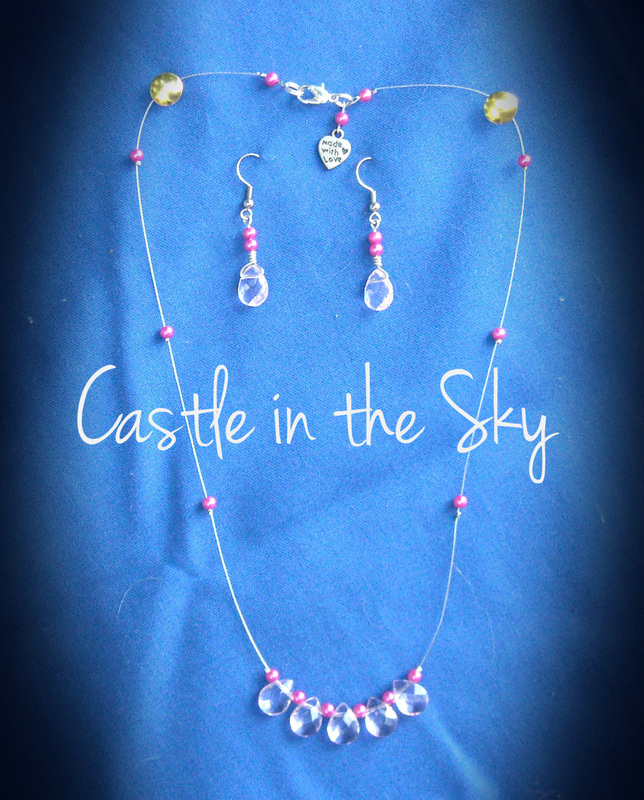 I combined it with clear crystal, small pink beads and larger pink faux stones. Clasp is behind the button for a different look. 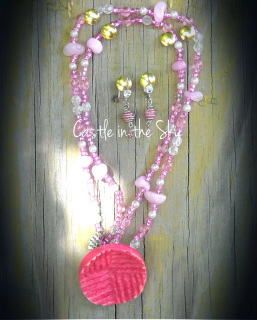 The earrings that are included with this necklace are caged pink beads and are clip ons. These can be easily changed over to fish hooks if you'd like.